Today, patch v239 hit our games and brought some nice new content. 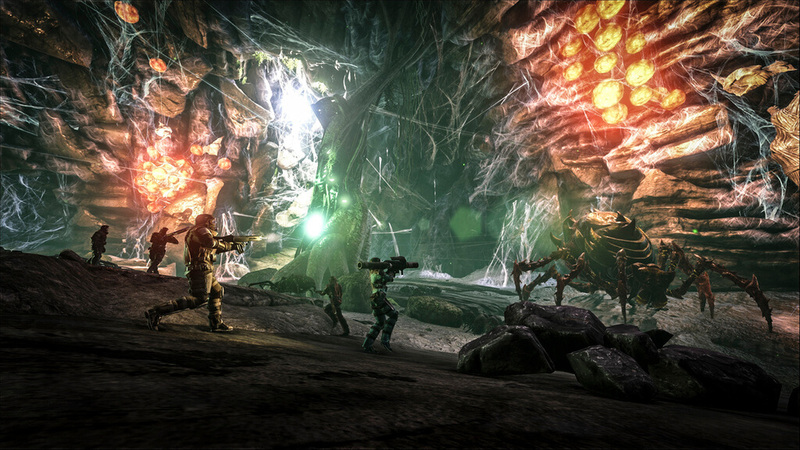 Below you’ll find an overview of the things that have been added, including creatures, items and spawn commands, so you will be prepared for anything. 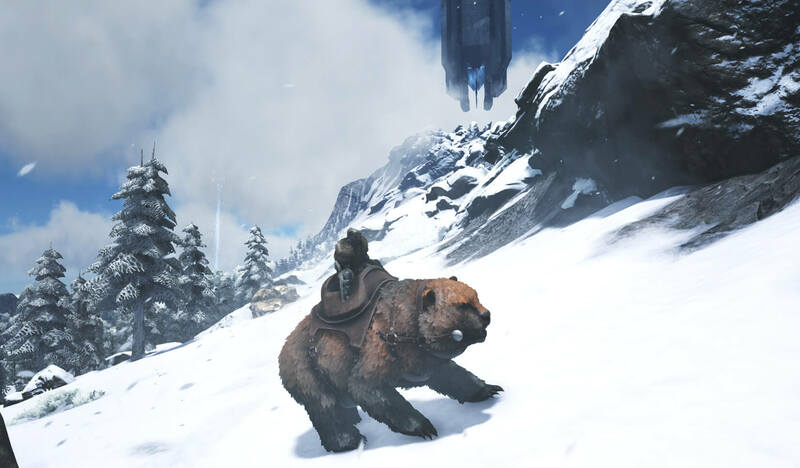 Finally the big teddybear has come to ark. Although it might not be as brutal as everyone expected, it is still nice to see a bear wandering around the island. The favorite food of the Direbear is Carno kibble, and you will need 11 for a level 1, up to 48 for a level 120. For more specific amounts (and other food) you can check out the taming calculator! Keep in mind that the Direbear is an omnivore, so both meat as berries will work for taming it! It’s time to scout the waters on your quick-as-hell manta! Maybe you can even start your own server-wide races with them. 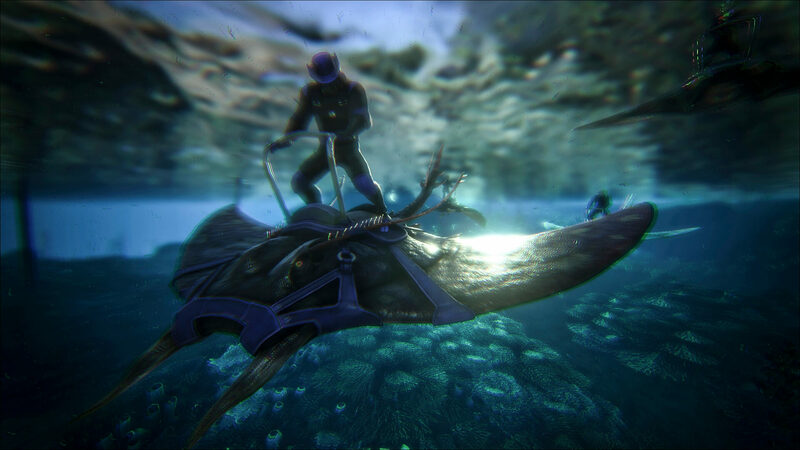 The Manta appears to be a passive tame, but be careful as it is aggressive if you get near. The best way to go about this is to make use of bug repellant (maybe they should change the name of it, as it no longer applies to bugs only). Its food is something new: Angler gel. We’re currently working on finding out how much is needed for each of the levels. With the new chemistry bench you will be able to more easily create compounds, such as narcotics, and can be seen as an upgrade to the mortar and pestle. You will need gasoline and electricity for it to run. The advantage of the chemistry bench is that it can create items in bulk and they only cost 2/3 of the normal resource amounts (in other words, mortar and pestle create 100% and the chemistry bench will create 150% out of the same resource). Currently we do not know much about the boss arena, so if you have any insights: feel free to share in a comment below! Looks awesome can’t wait to for it to be added to xbox. When will the new patch be released for the xbox? i think your manta calc is off. the required gel is ok but when i tamed the lvl 36 manta your calc said it will be at 68% effectiveness and gain 12 lvls. but what i got was about 38.1% and 6 lvls. Why durring taming Manta is loosing Food points so fast? Below 50% taming progress is going down faster that i can fed it. Or i did something wrong? Please Fix manta, on official servers it almost imposible to tame hight level. To be sure i build a fence fro taming so she cant swim out the depts or jump to the shore and die, but during taming manta is loosing food points very fast, and when its going below 50% taming progres is rapidly decrease ( she faster loosing tp then i can feed her). Or someone tamed a 100+ lev on official ?